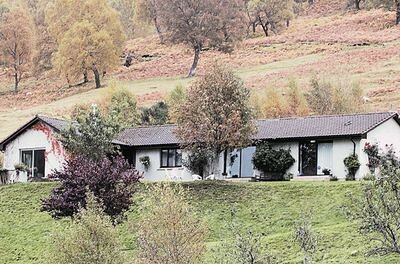 This detached bungalow/cottage is situated on a working livestock farm, 1.5 miles west of the village of Cannich in Glen Affric. The location is in driving distance of Loch Ness and further afield and is in the heart of wonderful walking country in every direction. The property can sleep three people in two bedrooms: one king-size double room and one single. There is a separate bathroom. Outside there's off road parking and a front lawned garden with patio and furniture. All ground floor. Two bedrooms: 1 x king-size double, 1 x single. Bathroom with bath, shower over, basin and WC. Kitchen with dining area. Sitting room with open fire. Electric heating with open fire. Front lawned garden with patio and furniture. Shop and pub 1.5 miles in Cannich. The best kitted out cottage we've stayed in. The landlord/lady were really amazing and helpful and the location was incredible. Cosy Cottage was just excellent in every way. One of the best self catering cottages we have ever stayed in. The owner and her family were very welcoming and friendly. Beautiful cottage, my dog loved the freedom to be in the enclosed garden. I loved to come back after a long day sightseeing and walking in this area, the cottage was very relaxing. A fantastic location for peace and tranquillity in a most beautiful valley. If you want to get away from the hustle and bustle of the modern world this is a fine choice. The cottage is very cosy and I can imagine the joy of the wood burner being alight on a cold winter day. Cosy Cottage definitely lived up to its name. It is very comfortable and fitted out to a really high standard with everything you could need during your stay. The attention to detail and quality of homely finishing touches is a credit to the friendly owners and we really enjoyed our stay there. Combine this with the beautiful, peaceful and scenic location of the remote highlands and you have a magical combination for a truly memorable holiday which you can only hope to re-visit in the future. The cottage is situated a little out of town next to a farm and a few other properties. It is a scenic location with views over fields to the hills. It is local to several scenic walks of Plodda Falls, Dog Falls and Glenaffric. It is ideal for a relaxing holiday of dog walking and chilling out. For evenings there is freesat, WiFi and a cosy open fire. The owners are extremely pleasant and helpful. I would happily return, as would the rest of the family. This property was lovely, immaculately clean and was well equipped with fenced garden. It has lovely views and is very quiet. The owner was lovely and came to check everything was fine. 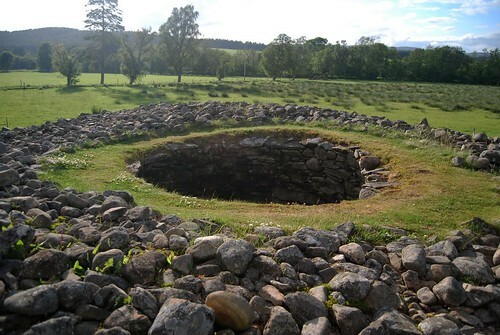 L Plan castle near Struy near Glen Affric and Beauly. 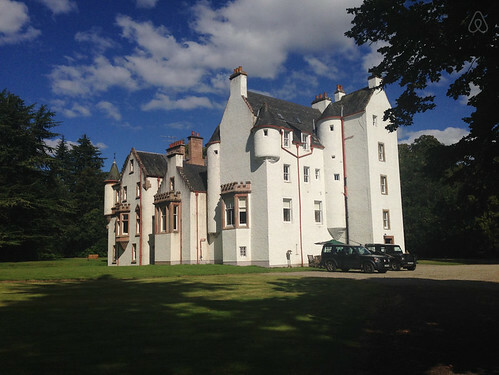 Current building dates from 1600 with various Baronial additions over time.